Terrorism is a global scourge and instances of terrorist attacks have been on the rise across the globe. Every year, hundreds of people die and thousands of people get injured due to terrorist attacks, not to speak of the damages cause to properties. In view of the rising incidence if terrorist attacks, it is becoming necessary to think in terms of insuring oneself against terrorist attacks to mitigate the physical and financial harm caused by such attacks. Insurance policies such as life insurance, personal accident insurance, travel insurance, home insurance, etc., may or may not offer cover for death or bodily injury or damages caused to property due to acts of terrorism. Hence it is necessary to go through the policy document to find out whether or not the policies stated above provide insurance cover against terrorist attacks. Let us look at which of these policies offer cover for terrorist attacks. Life insurance: All life (term) insurance policies offer insurance cover for death caused due to any reason (excepting suicide). 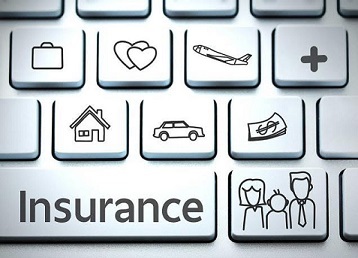 Hence, in the unfortunate event of death of a policyholder due to terrorist attack, the nominees would be entitled to receive the sum assured of the insurance policy. Personal accident insurance: Depending on the wordings of the policy document, the personal insurance policy may or may not cover death or physical injury caused by a terrorist attack. Some insurance companies may specifically exclude insurance cover for death or physical injury caused due to terrorist attack, but other insurance companies may be more accommodating and offer cover against terrorist attacks. So it is imperative that those seeking personal accident insurance cover should go through the policy document before signing up for the policy. Travel insurance: Usually, travel insurance policy cover only those costs incurred during travel on medical emergencies, personal accidents, loss of baggage, delay in flight, etc., but exclude insurance cover against death or physical injury cause by an act of terrorism. Health insurance: If the policy documents remain silent on insurance coverage bodily injury cause by terrorist attack, one can assume that the policy offers cover for treatment of injuries caused by act of terrorism. Home insurance: The home insurance policy covers damages or loss caused due to burglary, theft, floods, lightening, earthquake, explosion, implosion and such other natural disasters or acts of people. If the policy document is silent on damages to property and other belongings caused by a terrorist attack, it may or may not offer cover for the same.